The Drive-in is typically open Friday, Saturday and Sunday from Memorial Day Weekend (MAY) through Labor Day Weekend (SEPTEMBER) but may start and end earlier or later depending on a number of factors such as weather and attendance. Movies start at DUSK. That time changes as the summer continues and early in the season is just after 8pm but by JUNE it can be as late as 9:15pm before the movie starts. The LOWER rated movie will usually play first (G and PG rated movie showing, the G rated movie would show first). It is ALWAYS advised that you call the box office prior to arrival to ask which movie is playing first if you need to know as various factors MAY cause a change in the order in which they play on any given night. But we do our best NOT to have to change them. Ticket sales usually start at about 6:15 to 6:30 pm. 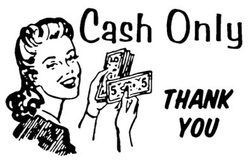 CASH ONLY.... currently we DO NOT accept credit/debit cards.